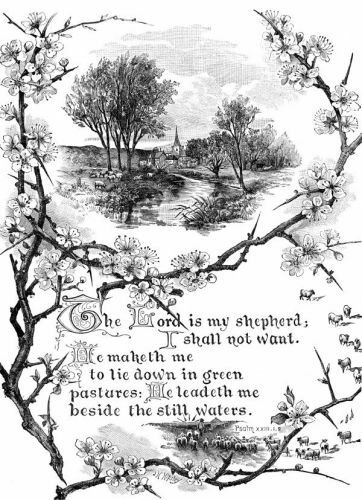 Description: A grayscale illustration of the Bible scripture quote- The Lord is my shepherd I shall not want. He maketh me to lie down in green pastures. He leadeth me beside the still waters. Psalm XXIII-1-2.